The Machine or the diamond ring? I’ll take The Machine. 6 mph! I am B*D*SS on this thing! 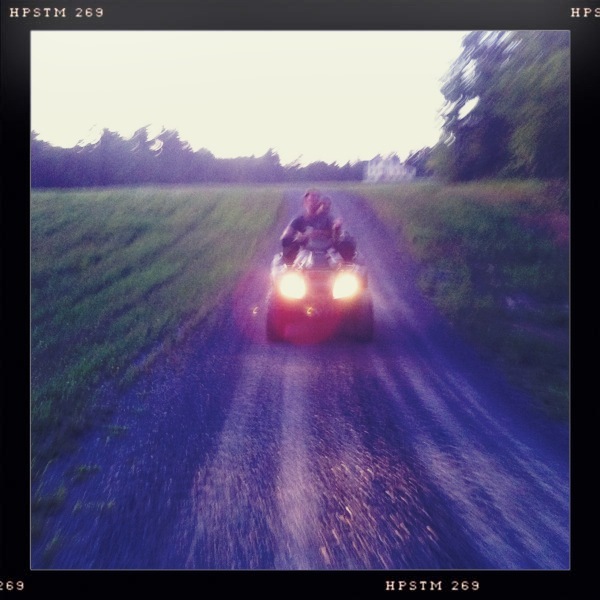 Whoever said ‘diamonds are a girl’s best friend’ (okay, we all know who said ‘diamonds are a girl’s best friend’) obviously didn’t own an ATV, because I’ll tell you what, Marilyn – an ATV is a girl’s best friend. Neither my neighbors nor I have ever driven an actual car to the other one’s house. The Machine is the modus operandi. And I take The Machine everywhere. Down to the pond. Around the orchard, (which as you know, is slightly depressing). Down to the Sugar Shack to gauge the progress on the maple syrup. And of course, down to the neighbor’s house to trade my-something for their-something, which more often than not is my-jam made from their-fruit. 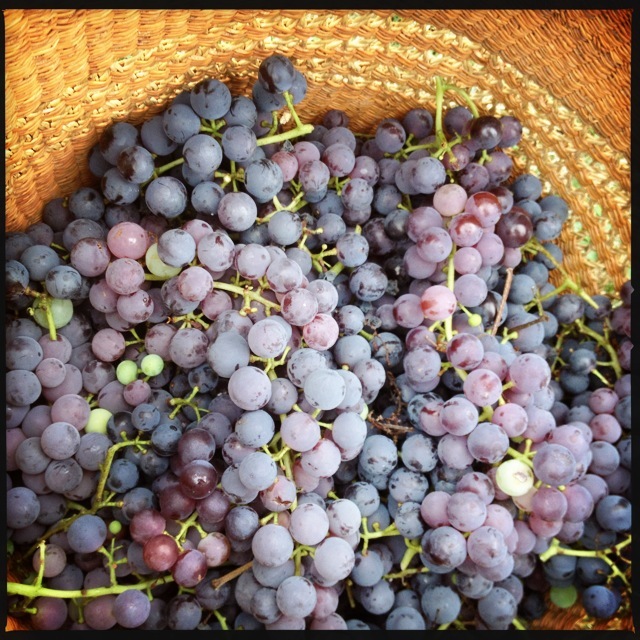 This time of year that means grapes. ‘Ready’ is a matter of opinion. 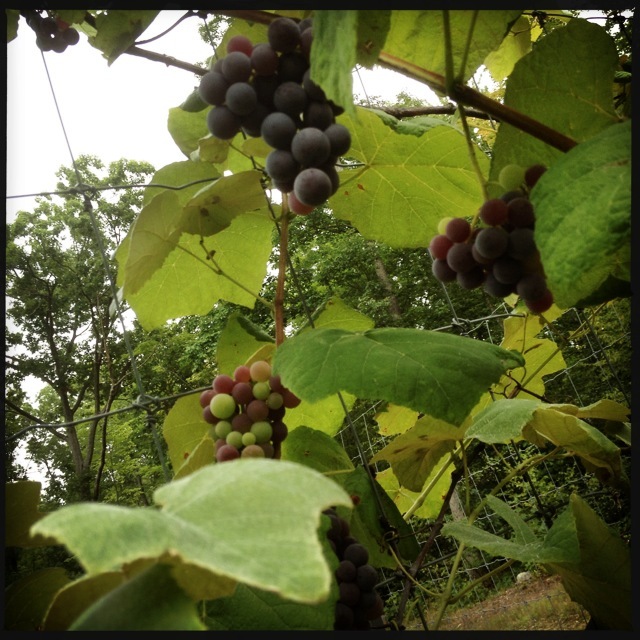 My neighbor swears the grapes aren’t ready yet. “Wait ’till a good frost hits,” he says. But I’m impatient about fruit and I’ve never much minded a less-than-perfectly-ripe grape. Plus I swear they are ready, and I’m an honorary hick*. When it comes to doing something with fruit other than eating it before The Machine even gets back to the house, Rachel Saunders is my Guru. Every recipe in The Blue Chair Jam Cookbook is so perfectly thought out, the measurements so precise (which is why a kitchen scale is on my Muddy Must-Haves list over there in the right hand column by the bottom), the flavors so perfectly melded that whenever I improvise or cut corners in any way, the jam is a far inferior product. As a habitual improvisor and corner-cutter, this can be annoying, but it’s true. Oh yeah. This part is super-fun. Sheesh. Super-fun. Step #2 is a bit insane. True. That said, I just tried to make a second batch of this tart, mind-explosive jam without skinning the grapes and – yep – it’s not nearly as good. Put on music. Watch Titanic. Do Pilates. Get your Zen-on or something and do it the right way. Kids love this jam but it’s purely by accident – this is an adult-rated grape jam. Make as much as you have the grapes for. 2. Working directly over a small nonreactive saucepan, use your fingers to gently squeeze the flesh from each grape, being careful to catch all the grape innards and juices in the pan. (Muddy Note: Umm…Really? Yes.) Set the skins aside in a large bowl. 3. 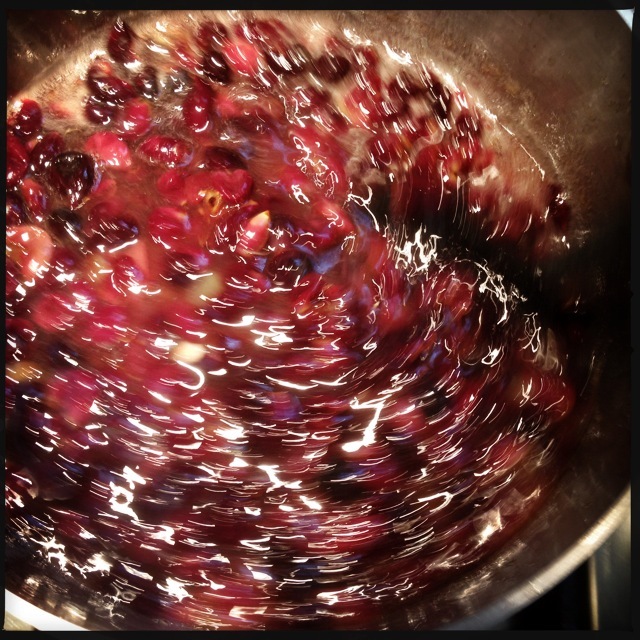 Bring the grape innards and juices to a simmer over medium heat, cover, and cook until soft, 3 to 5 minutes. 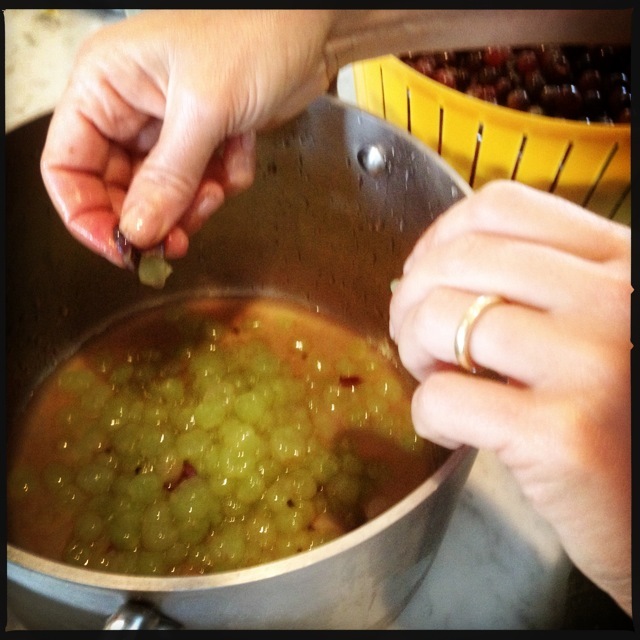 Immediately force as much of the pulp as possible through a fine-mesh strainer over the bowl of grape skins. Discard the grape seeds. 4. Add the sugar, lemon juice, orange zest, and orange juice to the grape pulp + skins mixture, stirring well. Transfer the mixture to an 11- or 12-quart copper preserving pan or a wide nonreactive pot. 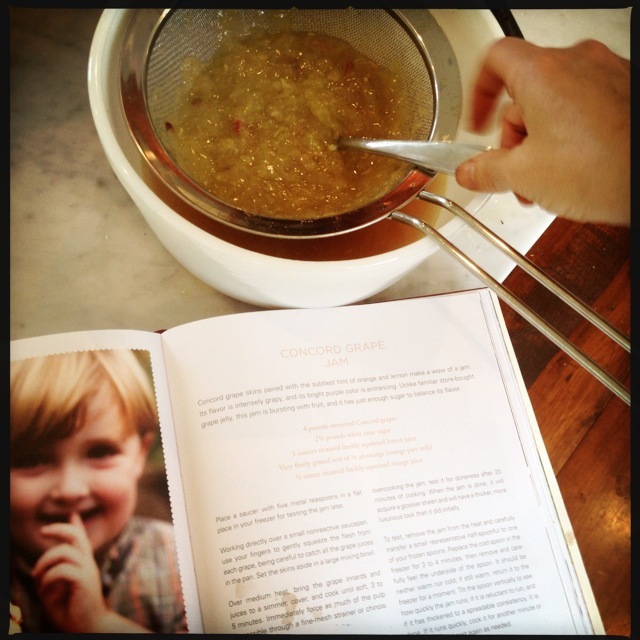 (Muddy Mental Note: Ask for 11- or 12-quart copper preserving pan for next birthday!) Bring to a boil over high heat. When jam is ready, you know it by how happy it looks. 5. 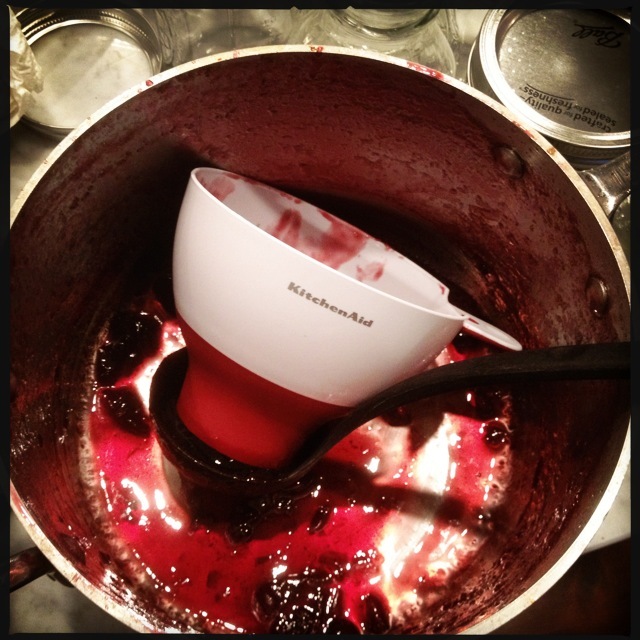 Continue to cook the jam, stirring very frequently with a heatproof rubber spatula. If the jam starts sticking, lower the heat slightly. Skim some of the foam off the top, as when making all jams, to reduce the possibility of bubble-over. When the jam is done, it gets a glossier sheen and has a thicker, more luxurious look than it did initially, usually after 30 to 40 minutes. To avoid overcooking the jam, test it for doneness after 20 minutes of cooking. Rachel’s doneness method is foolproof. Hendrick’s Gin in freezer is optional. Rachel Saunder’s foolproof way to test jam doneness: Remove the jam from the heat and carefully transfer a small representative half-spoonful to one of your frozen spoons. 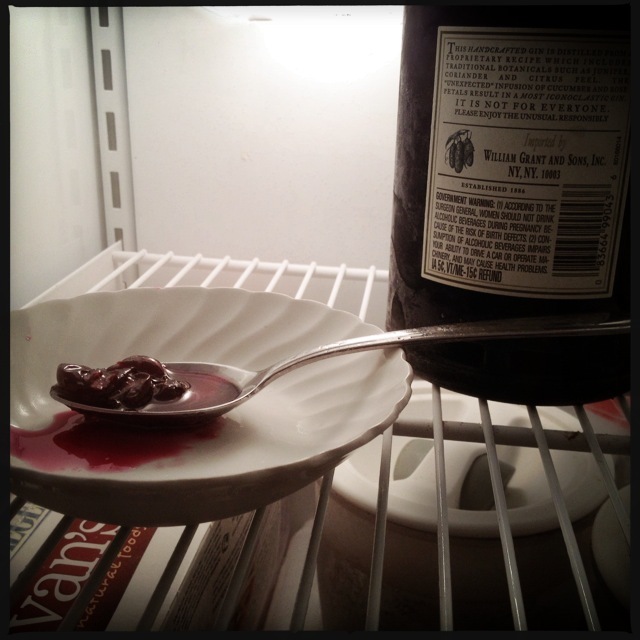 Replace the cold spoon in the freezer for 3 to 4 minutes, then remove and carefully feel the underside of the spoon. It should be neither warm nor cold; if still warm, return it to the freezer for a moment. Tilt the spoon vertically to see how quickly the jam runs; if it is reluctant to run, and if it has thickened to a spreadable consistency, it is done. If it runs quickly, cook it for another minute or two, stirring, and test again as needed. Lol, now that’s strength! Turning down a diamond ring! (“You go girl” wouldn’t sound right coming out of my mouth but you get the idea.) As for the jam, I haven’t had breakfast yet and my mouth is watering. Yum. “You go girl wouldn’t sound right coming out of my mouth either, Mama, but thanks mucho for the props.” And the grape jam IS mouth watering…I may need another piece of toast right now! Hmmm. Loving your posts, Jennifer! Great blog. Must it be the ATV OR the diamond ring? I am just dreaming for you, perhaps after another birthday or special occasion–wouldn’t you look marvelous on your ATV wearing a diamond ring? 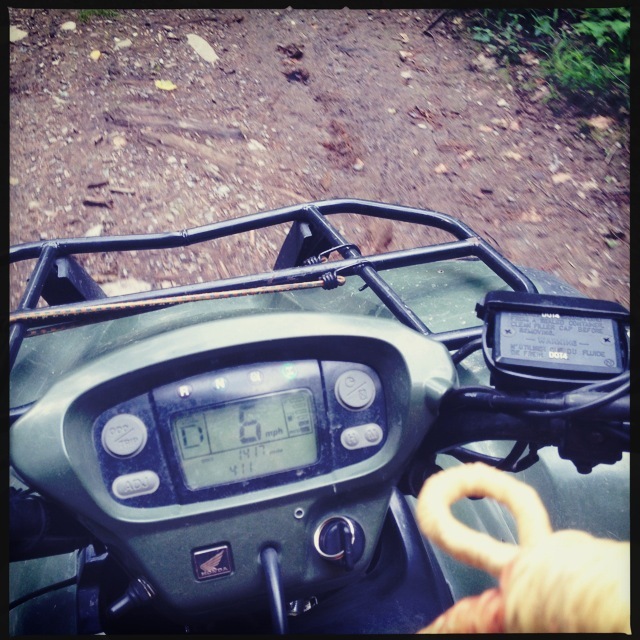 Maybe down the road, or off-road…. And it’ll need to be big enough so that we can see the sparkle as you race by on your ATV:-). I enjoyed your individualism and photos! Thanks for writing, Michelle! And good luck with your goals. My ATV is a quarter horse. Don’t tell my husband, but I’d give him up before my four-legged transport. Hick? Yes? Good post. Funny, all good jam recipes seem to have extra work…we spent quite a while peeling and pitting 20 pounds of peaches…but it is worth it. The gin helps with all that peach peeling, of course! 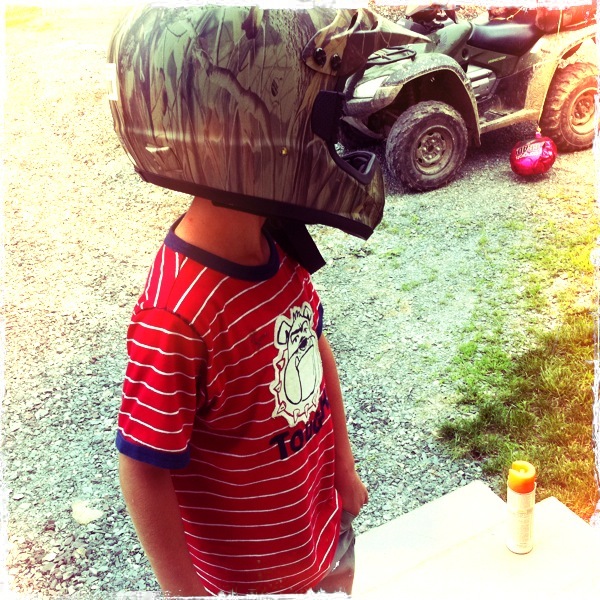 It’s all about the “ride” not the “rock!” I have to tell you, I have a camo ATV and I wouldn’t trade ANYTHING for it! Props to my ATV sister! hehehehe! Next post: Potluck Party Post!